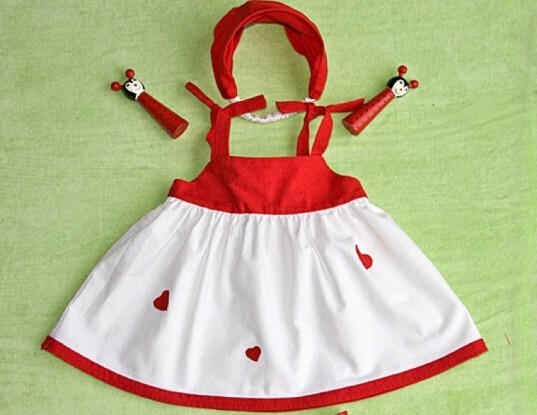 Valentine's Day isn't just about chocolate goodies or sweet love notes: kids can wear their hearts on the sleeves (or shoes or hats) with these adorable Valentine-themed Etsy finds. While these goodies won't cause an extra trip to the dentist, they sure are plenty sweet. May we begin by pointing out that the leaves printed on these shoes look like hearts?!? 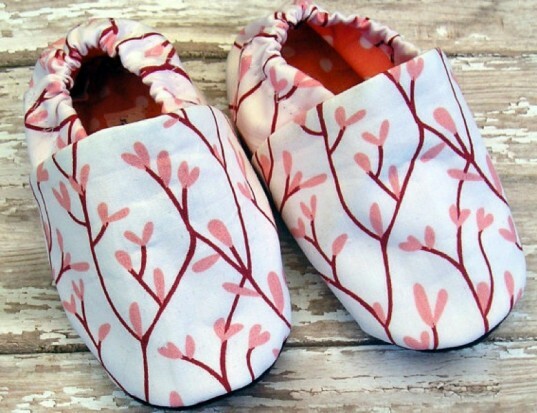 Made from organic cotton, these sweet shoes have soles made from either an eco felt comprised of 100% plastic bottles or matching organic fabric for non walkers. Customize them for walkers by choosing a faux suede sole. Be sure to keep babies’ toes cosy by lining the shoes with either organic bamboo sweatshirt fleece lining or organic cotton. We love clothes that work for the holidays, but can still be used all year long. This organic Valentine top fits the bill with its traditional colors and versatile shape-it can be used as a dress and then later as a top once your little one grows. Both the top, headband and applique are all organic cotton. Perfect for showing the love any day! 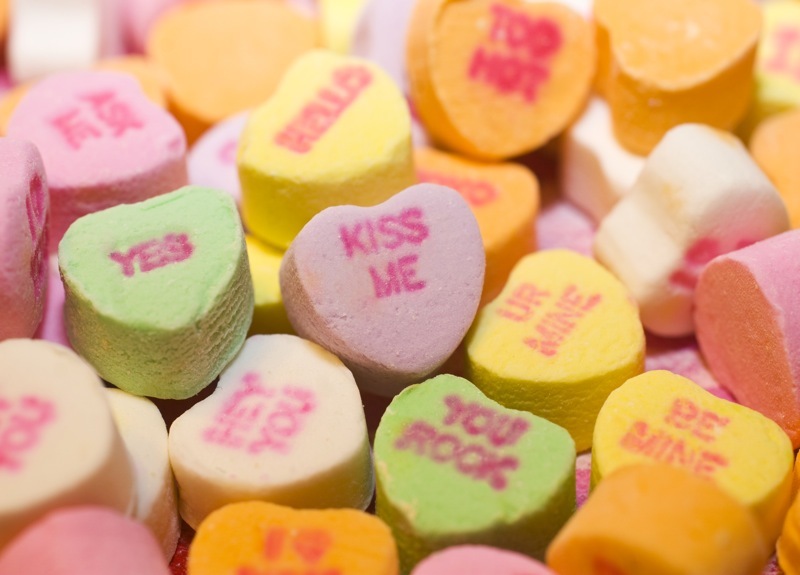 Does your little one think he’s too cool for Valentine’s Day? 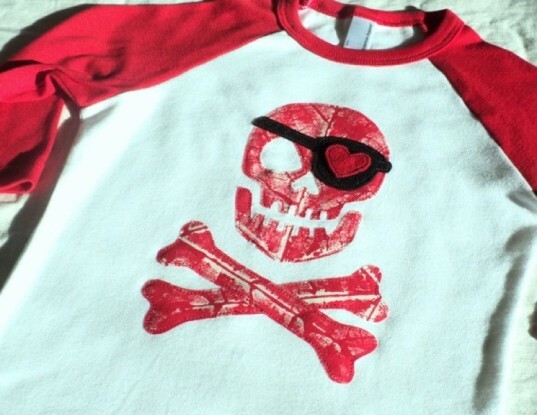 This pirate Valentine shirt may change his mind. The print is made using water-based ink on a large sycamore leaf, which is then cut into a skull and crossbones shape. Various options are available for the shirt including a short sleeved American Apparel organic cotton tee. Another tee we can’t wait to see adorning our tots is this lovey Octopus tee, with tentacles forming a funky little heart. The octopus is made from an eco-friendly felt comprised of 100% post-consumer plastic bottles and is available in a variety of colors, including red. 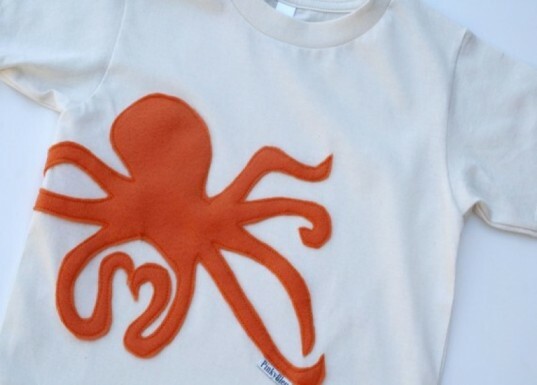 Perfect for Valentine’s day, but kids can wear it all year and spread some octopus love. Made with 100% organic American Apparel tees. 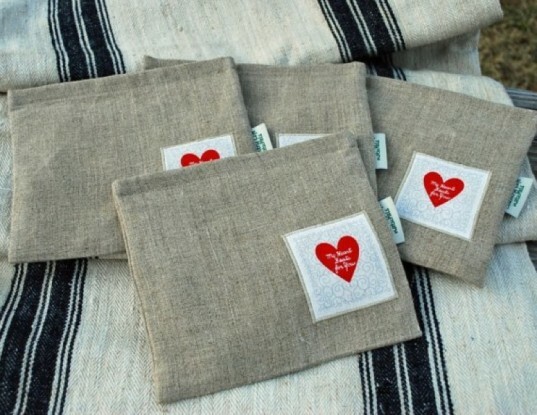 Send your kids (or your sweetie) off on Valentine’s Day with a sweet treat in an organic linen reusable sandwich bag that says “My heart beats for you”. Lined with food safe nylon and complete with a vintage quilting cotton applique, this bag will be a charming reminder of your love, wherever and whenever mealtime might take place. 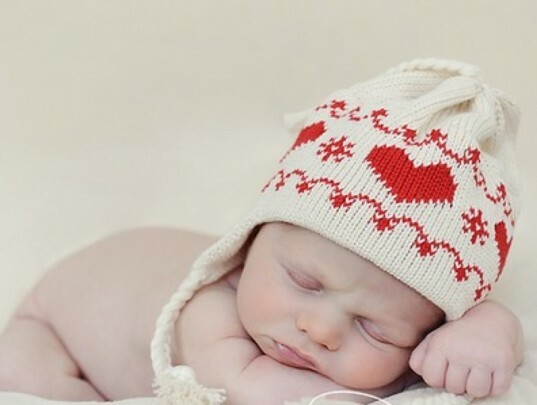 Oh baby, we can’t imagine a better first Valentine’s Day gift than this cozy hat. Made with organic cotton with red hearts offset on a creamy colored background, this comfy topper features earflaps and braided ties and a braided tassel. Because no detail is too small for the new precious love in your life.